Healing Laser Clinics Spa is located in the heart of Lake Mary, Florida. Healing Laser Clinics Spa was founded and operated in 2009 by Melissa Morgan with the vision of providing a place dedicated to renew your outer and inner self. 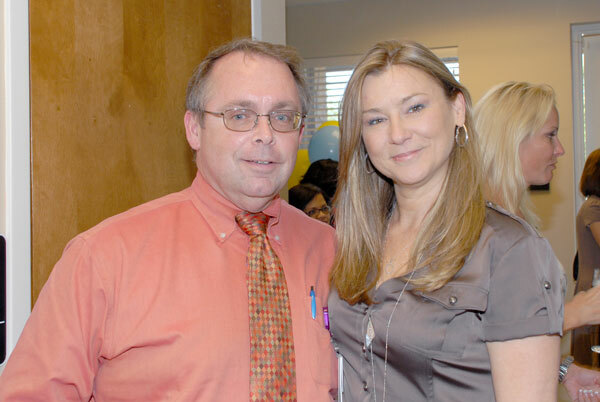 Healing Laser Clinics Spa’s Medical Director is Dr. Michael Dillehay, MD. As you enter Healing Laser Clinics Spa at Lake Mary you will enter “Family Experience” with soothing aromas, soft music to awaken a calm relaxing spirit, with a touch of ultimate technology that will remain in your memory as an unforgettable moment of wellness. Healing Laser Clinics Spa features exceptional ways to renew beauty and wellness. The Spa provides a one stop of wellness for fast paced individuals as well as programs that will give you a total wellness of the body, mind and spirit. At Healing Laser Clinics Spa, we are committed to promoting outer and inner beauty with tailored treatments from Photo Laser Facials, teeth whitening, infrared body wraps and weight loss programs. Healing Laser Clinics Spa allows you to Discover and experience a place where the casual meets the sophisticated of Spa services. Healing Laser Clinics Spa provides guests with a relaxing escape from the everyday with ultimate technology of non- invasive Laser technology and with top of the line IMAGE products. Why Does Healing Laser Clinics Use IMAGE products? • IMAGE is a cosmeceutical line of professional treatments and home care products developed for, and dedicated to the skin care professional. • IMAGE incorporates only the highest pharmaceutical-grade ingredients and latest technology for unparalleled clinical results. • IMAGE products work at a cellular level for optimal skin health to nourish, correct and protect. • IMAGE is sold only to licensed physicians and estheticians. • IMAGE gives skin care professionals the ability to completely customize all home care regimens and clinical treatments. • IMAGE is not sold on infomercials, the internet or in department stores, etc. • IMAGE is PARABEN FREE. • IMAGE consists of a team of board certified plastic surgeons, chemists, aestheticians and other health care professionals to serve and support you.